Patricia Gormely Prince is a 1979 graduate of Wayne State University Law School. Pat founded Prince Law Firm in 1992 and, and although she recently retired from full-time practice, she continues to be Of Counsel to the firm representing clients in various matters, acting as a mediator, and serving as a fiduciary. Pat’s areas of concentration include estate planning, tax planning, trust and estate administration and related contested probate matters. Pat also successfully completed the General Civil Case Mediator Training conducted by the Institute of Continuing Legal Education and she regularly mediates probate and civil disputes. Pat is a member of the Probate and Estate Planning Section of the State Bar of Michigan and is a former Chairperson of the Section. She also chaired the Eastern District Drafting Committee regarding the Estates and Protected Individuals Code (EPIC), which went into effect on April 1, 2000. She is a member of the Women Lawyers Association of Michigan and the Real Property and Probate Sections of the American Bar Association. 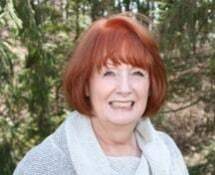 Pat is a past editor of the Michigan Probate and Estate Planning Journal, and, among other things, she principally authored "How to Protect the Protected Person" (Michigan Bar Journal 1996) and "Determination of the Taxable Estate" in Michigan Revocable Grantor Trusts (ICLE 1991). Pat has served as a well-received speaker at numerous Institute for Continuing Legal Education seminars in the areas of estate planning and administration. She has also appeared as a guest on the television show "Due Process," and has been interviewed in the Detroit Free Press on probate related matters. For more about Pat's credentials, please visit Martindale-Hubbell.